This family-friendly Madison hotel is within 1 mi (2 km) of Madison Area Technical College and East Towne Mall. Olbrich Botanical Gardens and Barrymore Theatre are also within 3 mi (5 km). Situated in a shopping district, this hotel is within 3 mi (5 km) of East Towne Mall, Madison Area Technical College, and Olbrich Botanical Gardens. Wisconsin State Capitol and Barrymore Theatre are also within 6 mi (10 km). 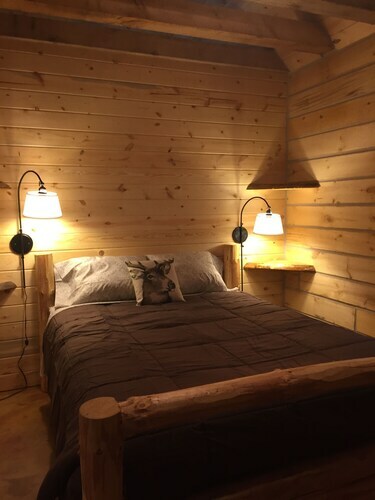 Located in the heart of Madison, this romantic cabin is within 1 mi (2 km) of Warner Park and Lake Mendota. Governor's Mansion is 2.9 mi (4.6 km) away. 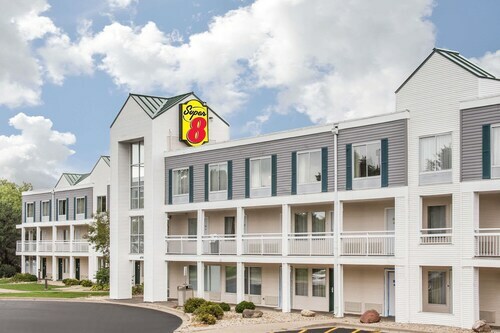 Situated near the airport, this hotel is 0.4 mi (0.6 km) from East Towne Mall and within 3 mi (5 km) of Madison Area Technical College and American Center. Olbrich Botanical Gardens and Barrymore Theatre are also within 6 mi (10 km). Located in the heart of Madison, this hotel is 0.1 mi (0.1 km) from American Center and 2.7 mi (4.3 km) from East Towne Mall. Madison Area Technical College and Token Creek Park are also within 6 mi (10 km). Situated in Madison, this motel is within 3 mi (5 km) of East Towne Mall, Madison Area Technical College, and American Center. Olbrich Botanical Gardens and Barrymore Theatre are also within 6 mi (10 km). 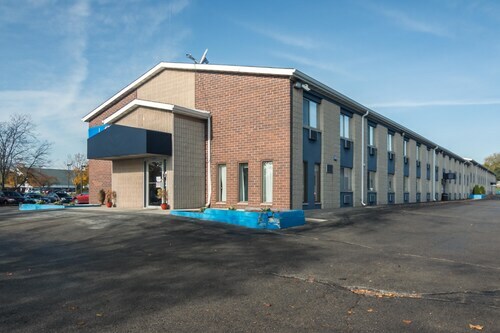 Situated in Madison, this motel is within 1 mi (2 km) of Madison Area Technical College and East Towne Mall. Olbrich Botanical Gardens is 2.9 mi (4.7 km) away. Answer : You sure can and you may save yourself some money by doing it. The lowest-cost day to fly in April is Thursday. You may be thinking you're missing out leaving a day early, but we think of it as you just adding saving for your next holiday. Answer : Of course, you are not most people, but if you were, you'd stay about four days. Question : How much is a plane ticket to Madison (MSN) from Toronto (YYZ)? Answer : Prices range from $279 to $793. Booking far in advance can normally help you get the cheapest rate. Prices tend to be better the further out you book. Answer : The cheapest day to fly from Toronto to Madison is on Thursday. If you would like to save a little cash on your next holiday look for flights on Thursday. Question : What is the cheapest airline flying from Toronto to Madison? Answer : American Airlines is the leader in keeping costs down for their passengers over the next three months. Bookings are being made at just $279, which is a good deal when compared to the high-end bookings of $793. Answer : As of Apr 15th, the best day for booking to Madison (MSN) is Apr 16th. A ticket will put you out $279, which is 28% below the average price to book the same route. Flights from Los Angeles Intl. to Edmonton Intl.